nonchalant mom: win this little superhero! I never do contests... but this is so cute I thought I would share with all you lucky people out there.. I know you are out there, those of you who win all the contests! Katheryn Darvey is a talented woman living in Dublin who crafts dolls. Her simplicity is amazing and can inspire you to new heights of doll making! Follow her blog and get inspired. Her instagram feed is full of her dolls too! 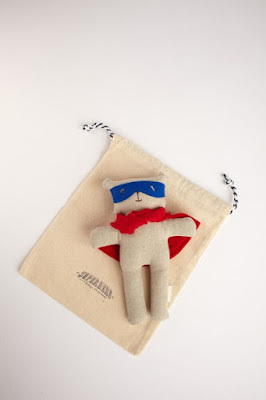 In the meantime enter her contest to win this little superhero guy!